Tray sealing specialist Proseal has refurbished and expanded its popular Test Kitchen facility, providing an enhanced service to help food manufacturers identify their ideal tray packaging requirements. 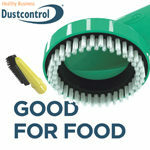 When it comes to food safety, efficient dust control is a must if you want to ensure you’re meeting the requisite industry standards. Food products such as dairy, baked goods, cereals, beverages and confectionary demand pumps that meet today’s hygiene standards and are able to handle products with care. 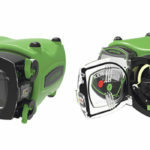 What are the benefits of the next generation peristaltic case pump system with touchscreen technology from Verderflex? 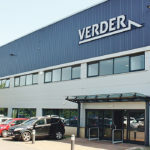 Food and Drink Matters is incredibly proud to present Verder as its selected Specialist Pump Manufacturer of the Month. 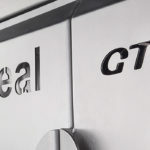 The innovative E-seal® sealing system from heat-sealing specialist Proseal, which is available across the company’s range of automatic and semi-automatic tray sealers, offers a high-performance electric sealing solution. Food and Drink Matters is extremely proud to present Proseal UK as its selected Tray Sealing Machines Manufacturer of the Month. From soda bottling plants to dairy processing facilities, Kawasaki’s food and beverage robots meet hygiene requirements and fulfill a wide range of handling processes, including bottle positioning, capping, filling, sterilising and high-speed picking and sorting as well as repetitive but precise food handling operations like the packaging of irregularly shaped items and variety packs. The new OM-CP-TEMP1000IS-A is an intrinsically safe temperature data logger certified for class 1, Division 1, Groups A, B, C and D and non-incentive for class 1, division 2 Groups A, B, C, environments.